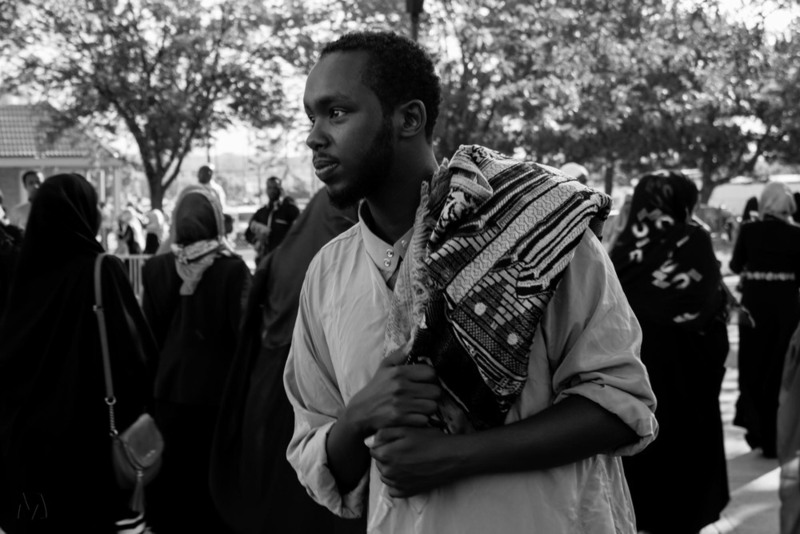 A glimpse into what it's like being a Muslim in Minnesota. 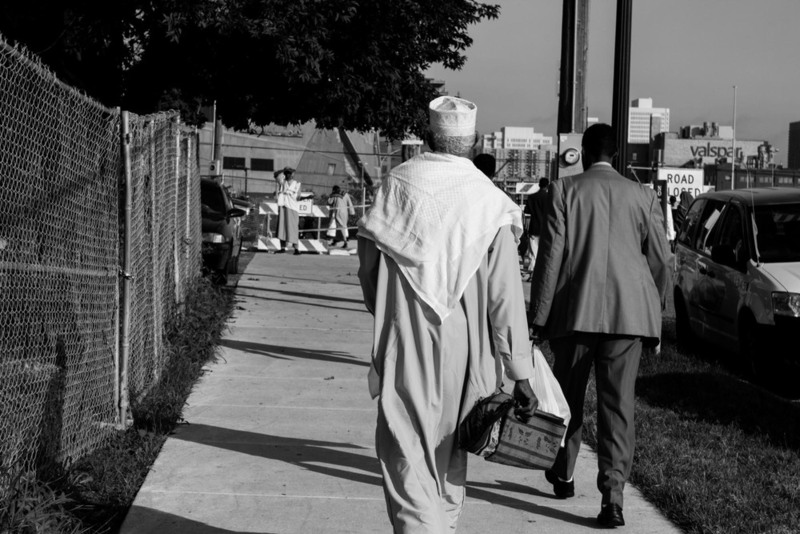 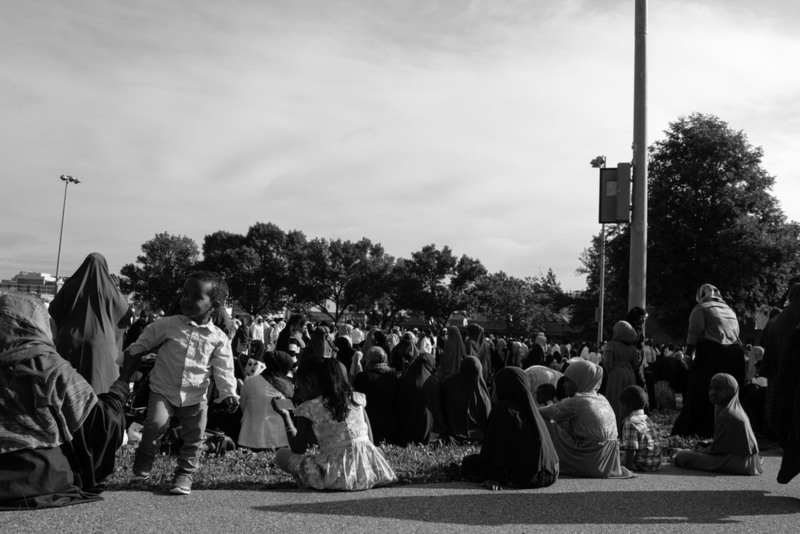 This selection of documentary photographs offers glimpses into the religious lives of the Somali community in Minneapolis as they gather for Friday prayers and participate in Eid celebrations. 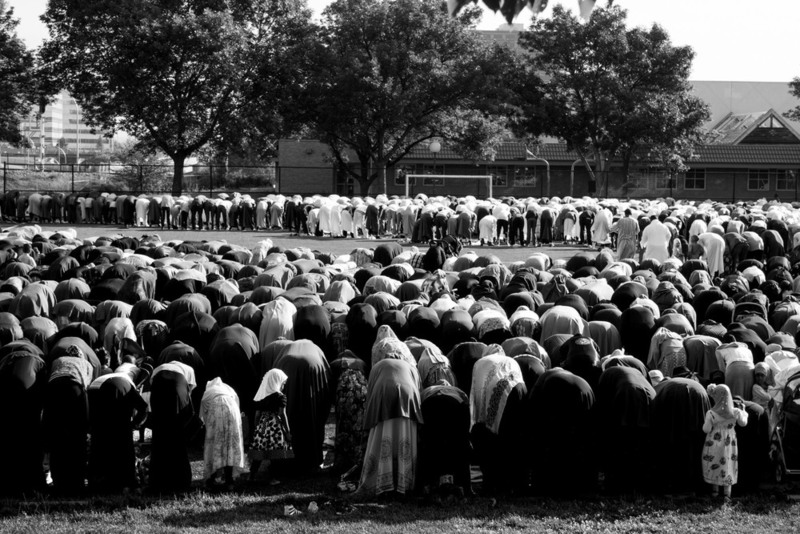 At first, the surrounding American playgrounds and sports fields may appear to conflict with observances of faith and the preservation of tradition, but this in fact highlights the resilience, adaptability, and strength of the community.